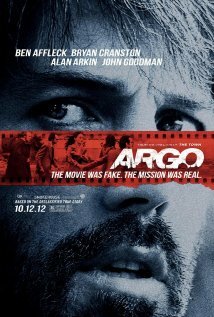 Argo is the dramatized true story of the rescue of six American embassy workers who escaped from the US Embassy in Iran during the Iran Hostage Crisis in 1979-80. Through the courage of Canadian nationals and the daring of CIA intellegence staff, the workers were safeguarded and escorted to safety right under the eyes of the Iranian government and their vigilant and dangerous elite Republican Guard. 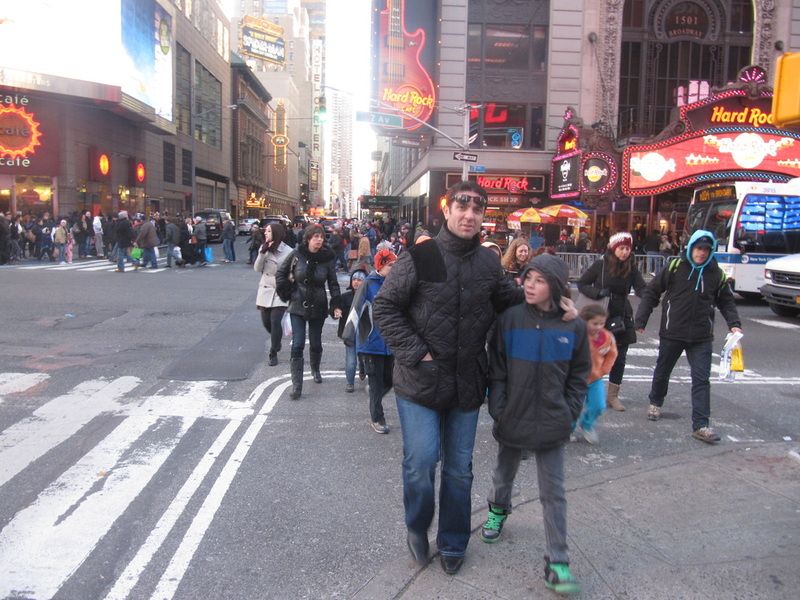 At the encouragement of the Brekhman family, students and families of The Tzedek School utilize the world as a classroom for the school's inaugural field trip. 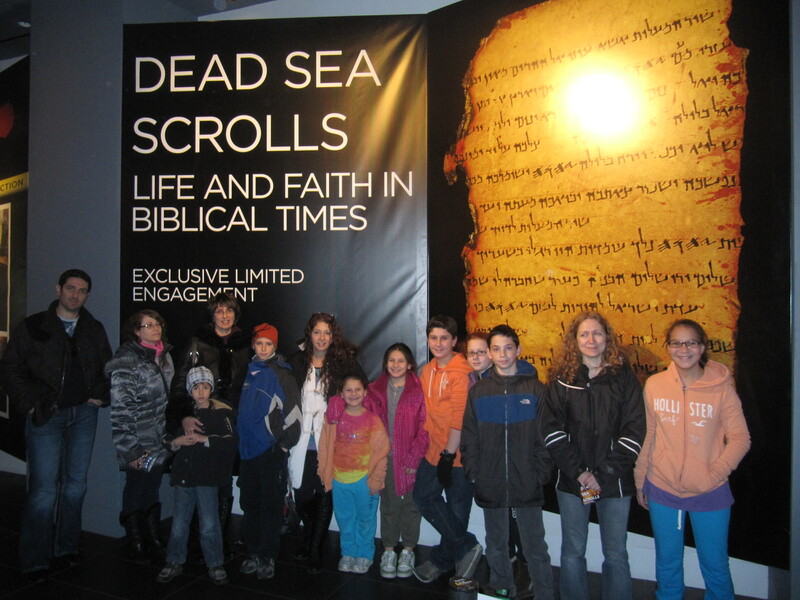 For the first time, the Dead Sea Scrolls travelled from their home at The Shrine of the Book, a permanent exhibit in The Israel Museum in Jerusalem, to New York where they are at Discovery Times Square. While the exhibit is in New York for a few months, the actual scrolls themselves are on display for only two weeks (December 15 - January 2) due to their delicate and fragile nature. 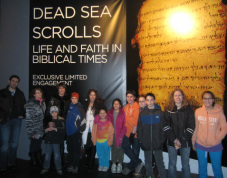 Led by Director Helena Hadef and trained Israeli tour guide Eric Amkraut, the students and parents learned first hand of the significance of the scrolls and the intriguing story of their path from discovery to their reunification in Israel after 1967 to their message for the followers of monotheism today. 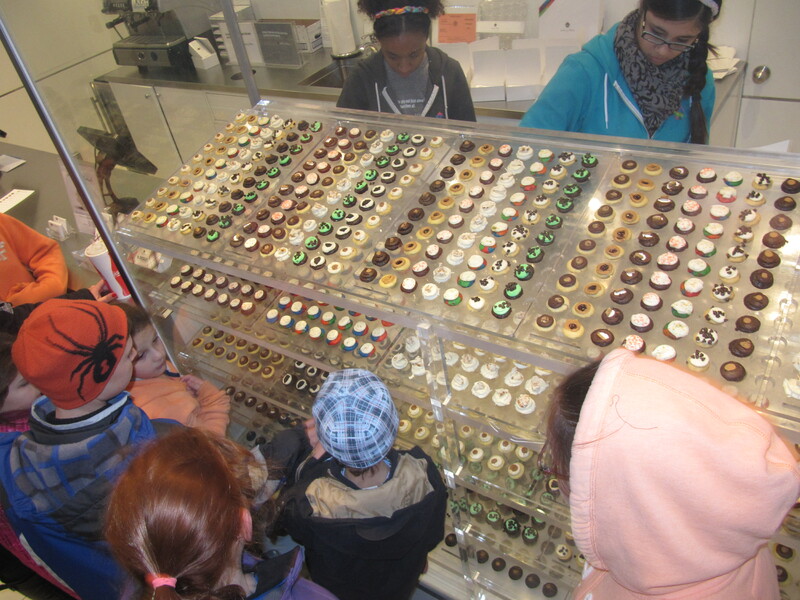 See a photo galery from the field trip below. 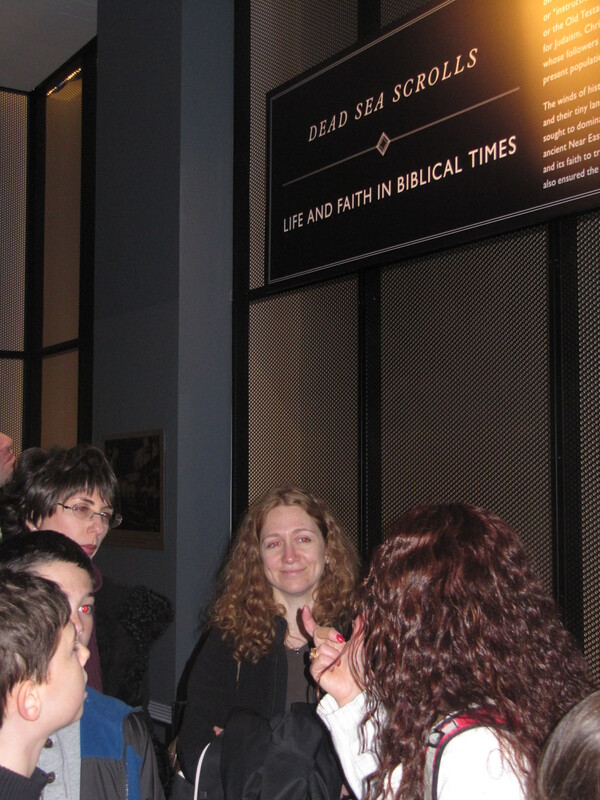 Before departing for the exhibit at New York City's Discovery Times Square, Helena leads the group in a dicussion and video presentation on the history and significance of the Dead Sea Scrolls. 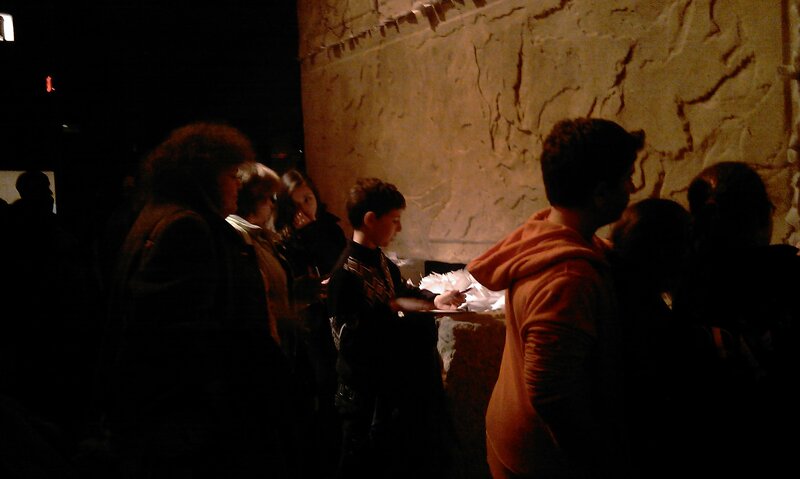 Leaning on an actual Herodian stone from the retaining wall of the 2nd Temple in Jerusalem, Max Brekhman (center) writes a note to be placed in the model of the Kotel (Western Wall) at Discovery Times Square. 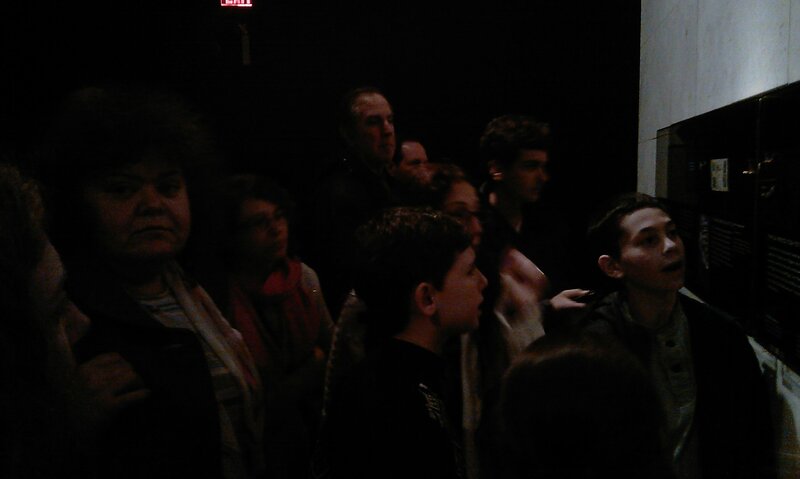 Tzedek School classmates look on. 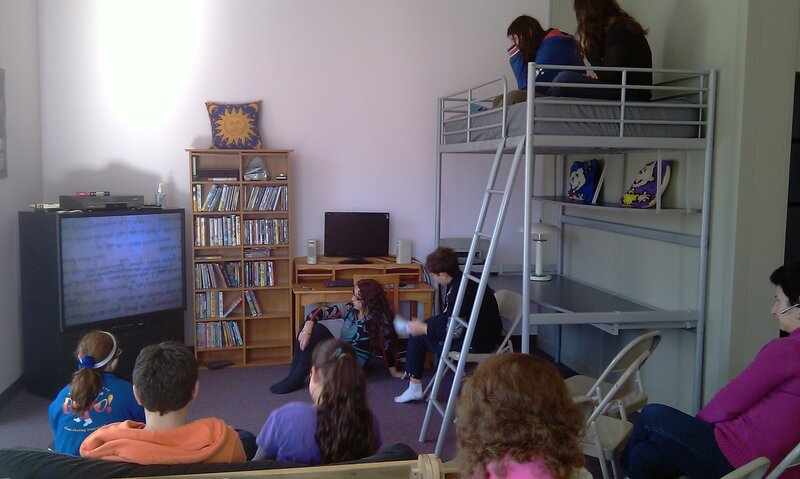 Viewing the video presentation on the history of the Dead Sea Scrolls in The Tzedek School media center. Max and Ben listen and learn as Helena teaches about daily life and customs in ancient Judaea. 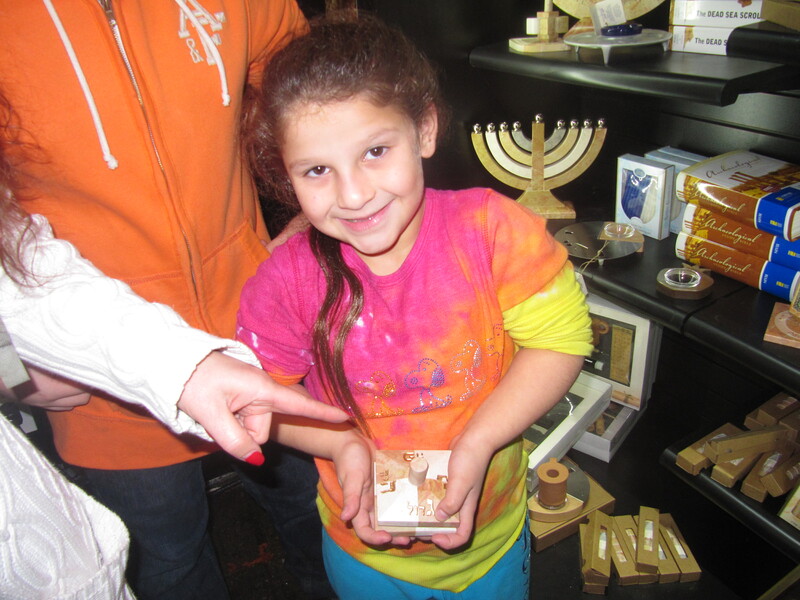 Simone shows off an Israeli "sevivon" (dreidel), with a "פ" for "here" instead of a "ש" for "there", in the Discovery gift shop. 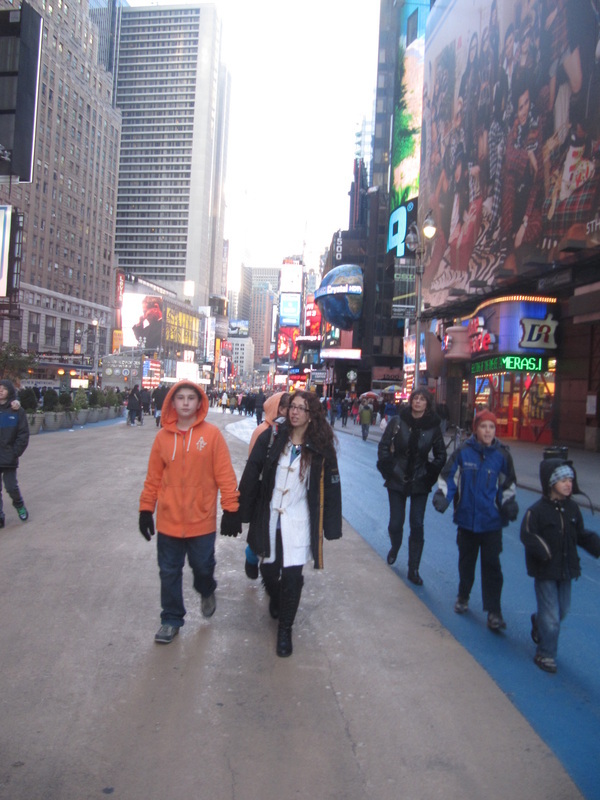 Walking through Times Square, taking in modernity after experiencing ancient society. 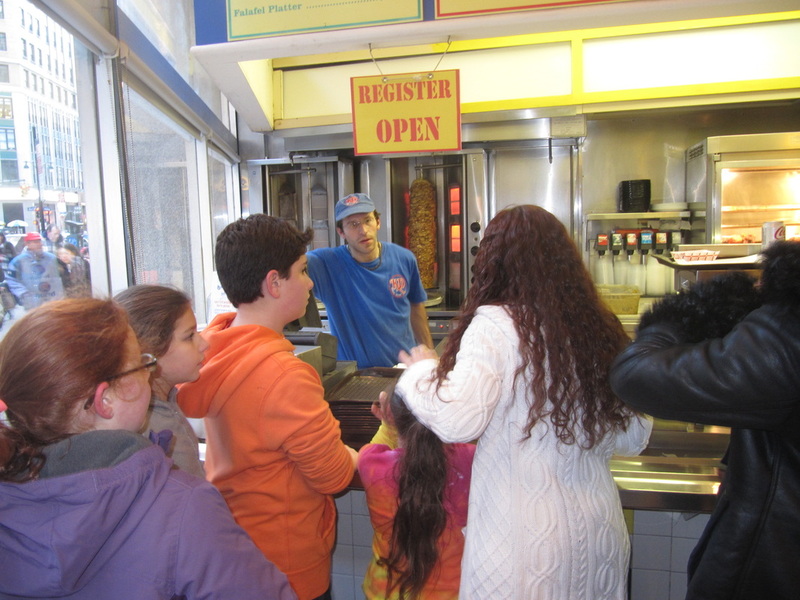 Keeping up with the Israeli feel of the day; schwarma from Broadway's Kosher Delight! Capping off the day with a sweet student favorite - Cupcakes by Melissa (they're so tiny! ).